Our team of specialist dentists are here to welcome you every day, offering you the best specialist dental treatment. We use our ultra modern technological equipment to improve your well-being. Our 3D impression cameras and printers, facial scanner, Cone Beam CT, microscopes, electronic anaesthetic and more ensure an unrivalled experience. All kinds of treatments are available at the clinic which has its own dental laboratory, among other facilities. The DENTIST BRUSSELS clinic stands out from other dental practices thanks to the high-level expertise of its dentists and medical staff. Following their dentistry degrees, our dentists have studied specific areas of dentistry at renowned universities and institutions. These complementary specialisations, which required an average of 3 years of full-time study, ensure that the practitioners at the DENTIST BRUSSELS clinic provide patients with specialist expertise. 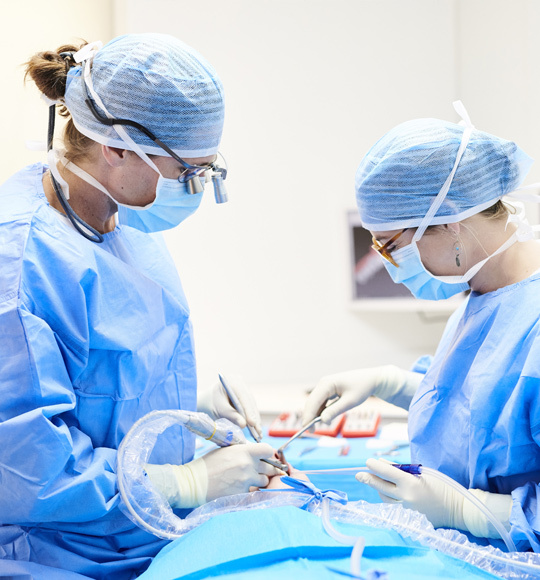 Most of our specialists are also responsible for scientific activities, teaching and classes at the Dental Medicine Faculty at UCL and/or at a number of scientific organisations. All our dentists are bilingual, speaking French and English. To find out more about the team, click here. The DENTIST BRUSSELS clinic is home to several implantologists, periodontists, endodontists, paediatric dentists, prosthodontists and dental technicians. Multidisciplinary appointments can be organised, depending on your treatment needs, to provide you with medical opinions from several specialists. Multidisciplinary care by multiple dentists is co-ordinated by our experienced treatment managers. To find out more about our specialties, click here. The DENTIST BRUSSELS clinic is constantly developing and uses the very latest dental equipment. Medical science is assisted by new technologies which provide greater comfort, predictability and safety. All practitioners undertake regular training to ensure continued excellence. These technologies transform the patient experience, turning a visit to the dentist into a pleasant experience. With Quicksleeper, an electronic transcortical anaesthetic technique, we can avoid using needles. In addition, the device requires low product doses and provides a limited and short-lived feeling of numbness (30 minutes to 1 hour). Do you remember having to bite down into putty to make an impression of your teeth? Now that we consistently use 3D optical impression cameras (CAD-CAM), we rarely use putty for traditional impressions. We print models, mouthguards, surgical guides, mock-ups and prostheses in our integrated prosthesis laboratory, using our latest generation 3D printers (SLA and DLP). Do you suffer from bone loss or have you got an infected sinus, a bone cyst or impacted wisdom teeth? Having been accredited by the AFCN (the Belgian Federal Agency for Nuclear Control) and INAMI (the Belgian National Institute for Health and Disability Insurance), our dentists can analyse these issues in 3D, using our Cone Beam CT (a 3D X-ray scanner). It should be noted that the DENTIST BRUSSELS clinic was one of the first to work with this technology in Belgium. Taking a good look at the roots ? 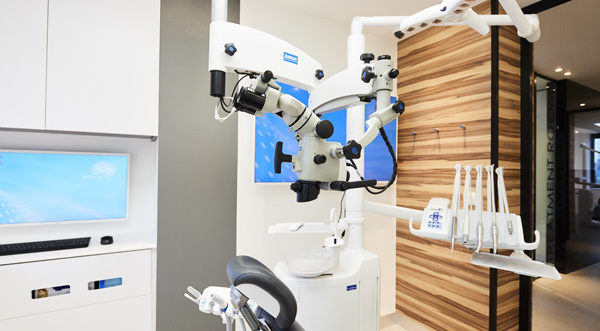 Our dentists work using magnifying lenses and microscopes to make sure that nothing escapes their gaze. Want to benefit from the best dental technologies ? Click here. Do you want your smile to match your personality ? Because there’s no such thing as healthy teeth without healthy gums, our periodontists take care of gum disease, receding gums, mobile teeth and more. Dental implants are "artificial roots" which are ideal replacements for missing teeth. They are used to provide support for crowns and bridges. They are also very useful for stabilising removable prostheses, even if these prostheses are older (skeletal prostheses, dentures). Have you got gaps you’d like to be filled? Are you ready to take a big bite out of life? Implants, crowns, bridges, onlays, veneers and skeletal prostheses replace missing or damaged teeth. 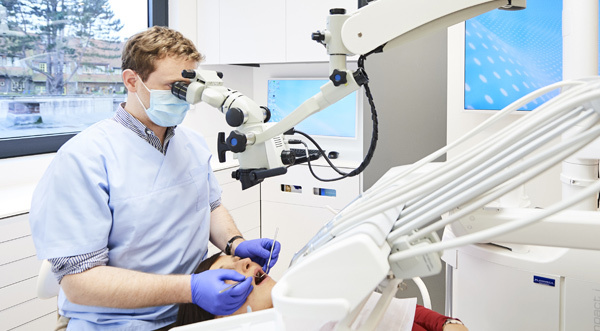 At the DENTIST BRUSSELS clinic, we use a microscope to get to the root of the problem. Children are at the heart of our work. Our paediatric dentists work with children to make sure that their visit to the dentist is a pleasant, predictable experience. Do you want a beautiful, symmetrical and natural-looking smile? Veneers cover the visible part of worn, damaged and discoloured teeth. Medical science is assisted by new digital technologies which provide greater comfort, predictability and safety. These technologies transform the patient experience, turning a visit to the dentist into a pleasant experience. Would you like to have a symmetrical smile with perfectly aligned teeth, without resorting to metal braces? Now you can with INVISALIGN orthodontic treatment. We can assess your possible treatment options during a cosmetic dentistry appointment. With the latest generation equipment and our integrated prosthesis laboratory, we offer a wide range of treatments. Teeth whitening: Whitening removes dental discolouration caused by ageing and food stains. Resin or ceramic veneers: Veneers cover the visible part of worn, damaged and discoloured teeth. They are made to measure in resin or ceramic, depending on suitability. Cosmetic mucogingival surgery. Because there’s no such thing as healthy teeth without healthy gums, periodontic surgery helps to cover up receding gums, elongate short teeth, create a symmetrical smile and much more. With our state-of-the-art equipment, we can study and preview the final result, even before treatment begins. 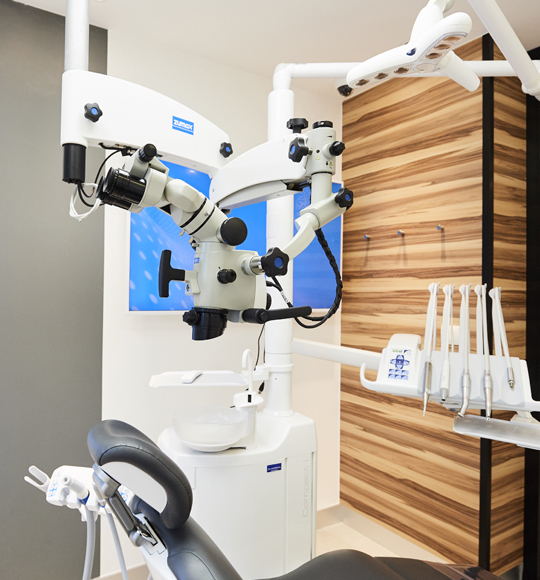 We use procedures including 3D digitisation of the face and teeth, Digital Smile Design and 3D printing of mock-ups on a daily basis at the DENTIST BRUSSELS clinic. Our periodontists offer brushing and cleaning advice to preserve your bone structure and to maintain healthy gums. Root planning: a process for deep cleaning exposed roots. Air polishing to remove stains and discolouration (coffee, tobacco, etc.). Bone grafts using biomaterials to compensate for the natural bone loss which occurs systematically after tooth extraction. Gum grafts to fill in gaps caused by receding gums and to strengthen thin and fragile gums. Gum recession can be caused by trauma (occlusion or traumatising brushing) or orthodontic work. Cosmetic gum surgery to create symmetrical gums for cosmetic reasons. Frenectomy or adjustments to the frenulum, upper or lower lips. This minor procedure is often recommended for orthodontic treatment or speech problems. Periodontal splints to stabilise mobile teeth. Treatment for halitosis (bad breath). Periodontal splints to stabilise mobile teeth. Implant placement to replace missing roots. Would you like to meet our specialists ? Click here. At DENTIST BRUSSELS clinic, several experienced implantologists perform surgery and offer prosthetic treatment. After 3D X-ray analysis of the patient’s bone volume, a computer is used to simulate implant placement. 3D surgical guides can be printed in our integrated laboratory. Implants are placed in aseptic conditions in our dedicated operating room. In some cases, a crown or a bridge may be fitted directly after an implant has been placed. Our team is here to discuss the wide range of solutions which may be suitable for you. Our implantologists are passionate about this constantly developing area of medicine. Did you know that they regularly give classes and conferences on the most advanced implant procedures ? To see the latest news about training sessions, click here. The DENTIST BRUSSELS clinic has its own integrated prosthesis laboratory, staffed by qualified technicians. Our dentists manage and supervise the chain of production for a service and results which are unrivalled ! The integrated laboratory is also particularly convenient when it comes to speeding up the process for manufacturing and repairs. Our dentists and technicians have the right solution for you. 'Would you like to talk to one of our specialists ? Click here. 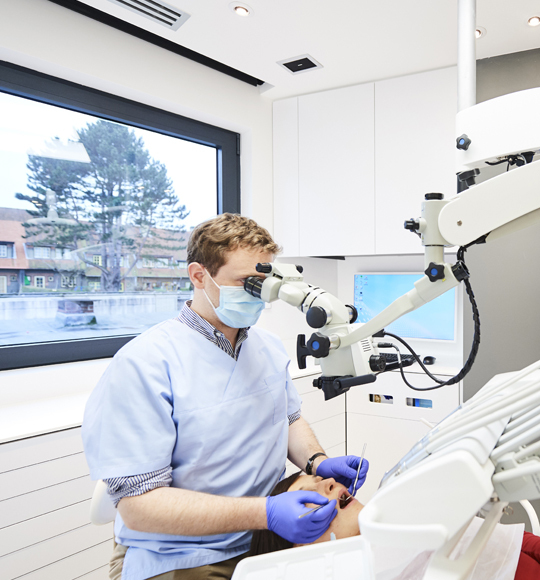 Our endodontists perform all devitalisations under a microscope for optimal cleaning of even the most narrow root canal. Treatment for cracks, cysts, resorption and “grey teeth” is provided using specific biomaterials (MTA). 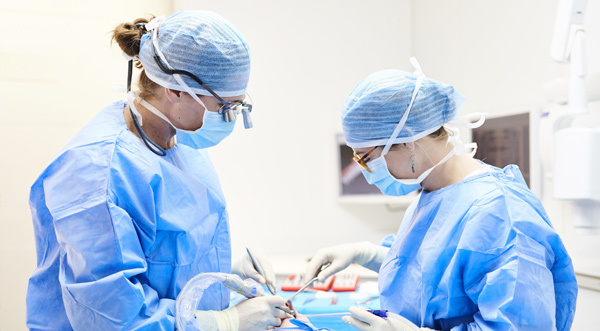 Our endodontists have been trained in oral microsurgery and can perform apicoectomies to treat cysts in devitalised teeth. At the DENTIST BRUSSELS clinic, we believe that oral hygiene is important from an early age. Our paediatric dentists and our assistants develop relationships of mutual trust with children in a reassuring setting which has been specifically designed for their well-being. Our practitioners are mothers too. They are passionate about this specialism and have dedicated their careers to paediatric dentistry for many years. Our facilities are suited to children of all ages. They can enjoy various play areas (a magic hut, a reading corner, video games) which encourage a sense of trust as soon as they arrive. Our specialists use a pain-free anaesthetic technique called Quicksleeper. Cosmetic veneers are made to measure in resin or ceramic, depending on suitability. When it comes to creating a beautiful smile, our approach is ultra conservative to guarantee your long-lasting dental health and peace of mind. Our experts create "less prep veneers" which are extremely thin and hard-wearing and which require little to no trimming of the supporting teeth. The DENTIST BRUSSELS clinic stands out with its state-of-the-art technology. Medical files are computerised and all documents are systematically scanned (insurance, etc. ), for total transparency and traceability. Our receptionists use eHealth tools, introduced by INAMI (the Belgian National Institute for Health and Disability Insurance), for electronic prescriptions, treatment certificates and more. Technological progress is rapid. All practitioners undertake regular training to ensure continued excellence. The DENTIST BRUSSELS clinic is a certified INVISALIGN OFFICIAL PROVIDER and its staff undertake regular training to learn about this modern procedure’s latest developments. Our experts use digital technology to create bespoke transparent aligners. These thin, discreet aligners gently apply pressure to create perfectly aligned teeth. No need to worry about needles ! 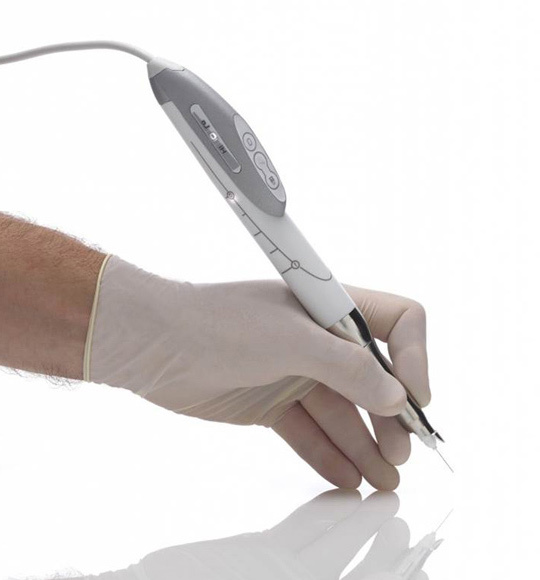 The practice uses an anaesthetic system with electronic injection management. This offers instant anaesthetic and a more targeted sensation of numbness. Patients can hardly feel the anaesthetic being injected with QuickSleeper. Both children and adults can benefit from this significant technological development in modern dentistry. Why should you visit a paediatric dentist? From single crowns to complete bridges: sharing tips and tricks when it comes to the timeframes for implants prosthetics.